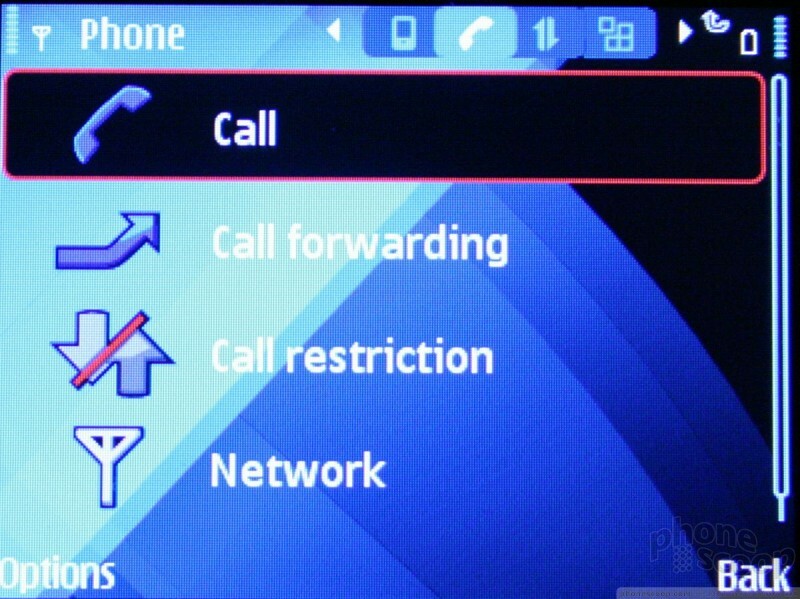 The E71 uses Nokia's familiar Symbian-based S60 3rd Edition operating system with Feature Pack 1. Unfortunately, this is not the absolute newest version of S60 3rd Edition. 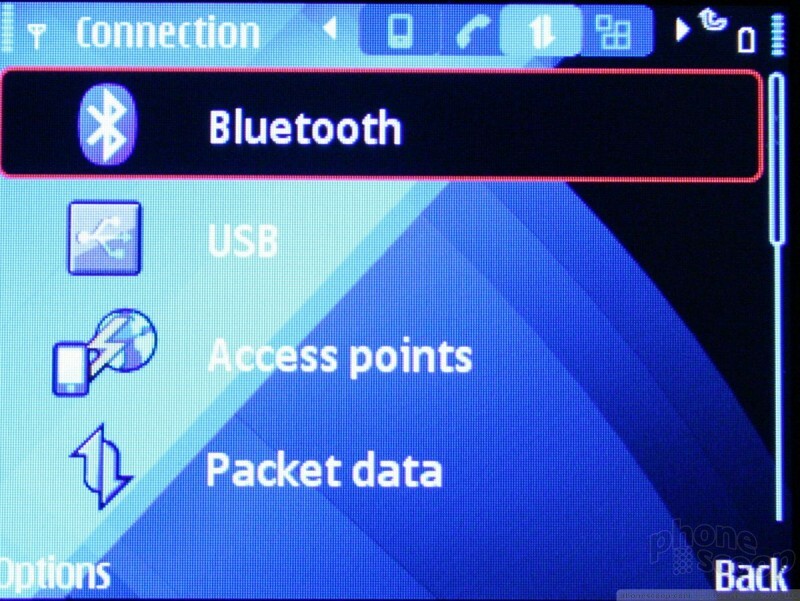 There is another, more recent Feature Pack available that adds functionality to S60. That the latest version of software is not available for this phone is a major disappointment. The S60 menus are not the easiest thing in the world to master. In fact, they can be downright difficult to decipher. 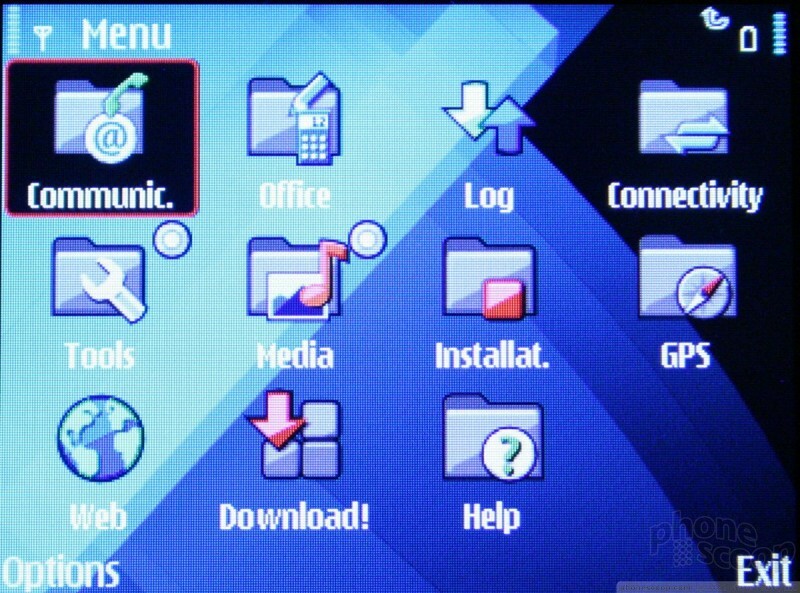 We would really like to see Nokia make some strides on the ease-of-use for its S60 software. For the moment, we are stuck with this older version of S60 3rd Edition. 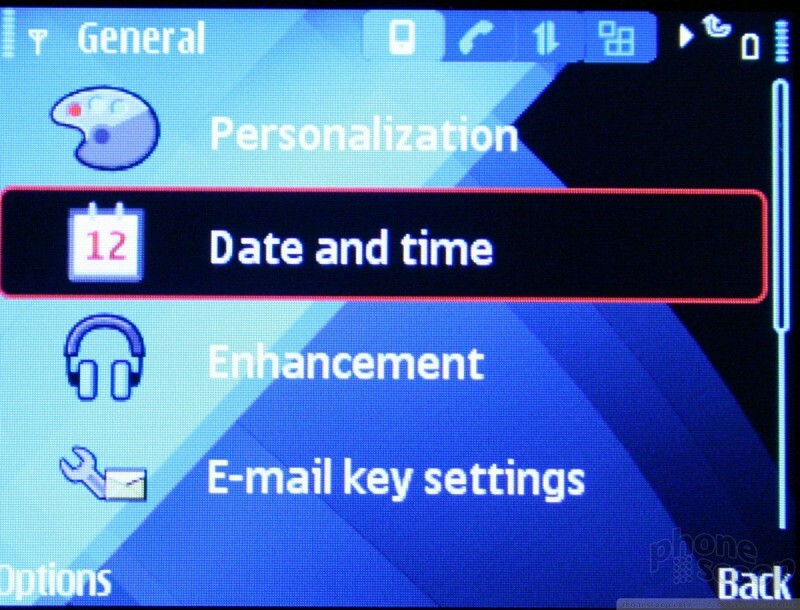 The main home screen of the E71 can be set to two basic configurations: Active Standby on, or off. 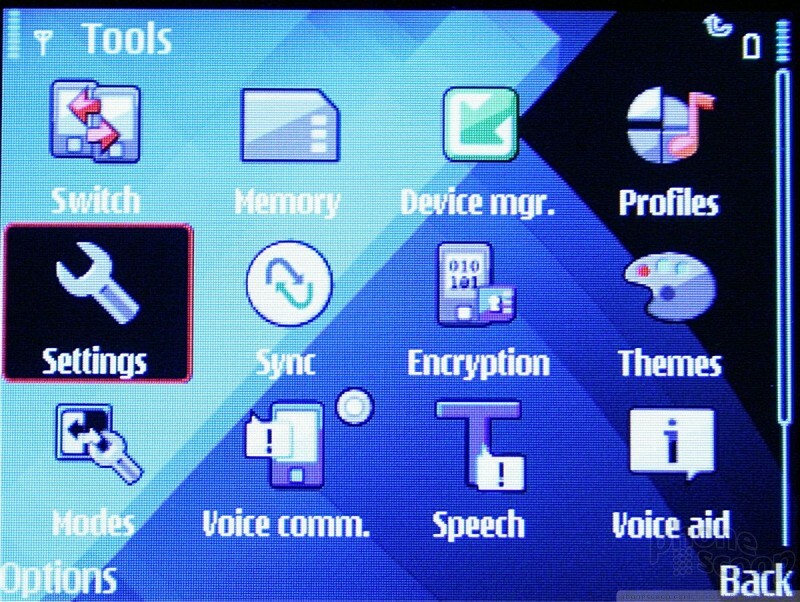 Active Standby places a dock with shortcuts to six user-customizable applications. If you choose to turn Active Standby off, the dock goes away. 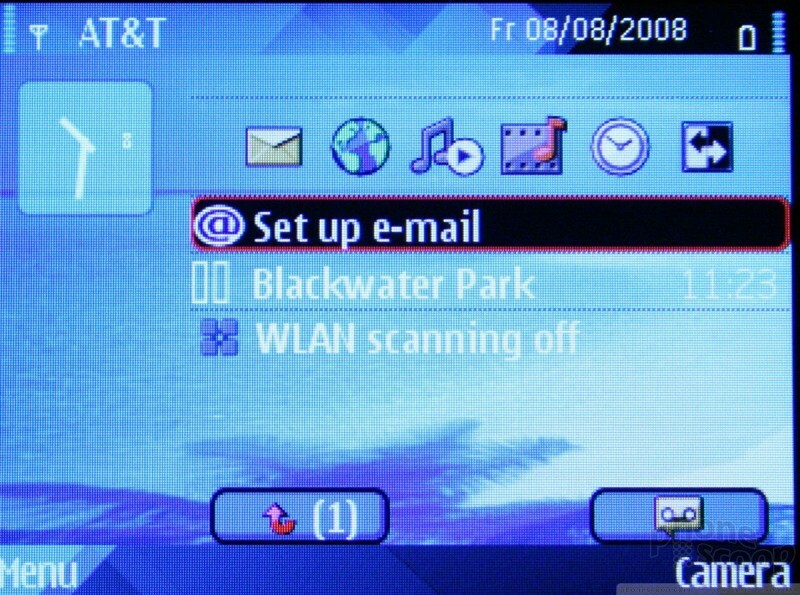 Under the dock, you can also see some notifiers, such as a quick view of any unread messages or voicemails, quick access to the phone's media player, Wi-Fi radio, and so on. The one thing I like is the "Switcher" function. 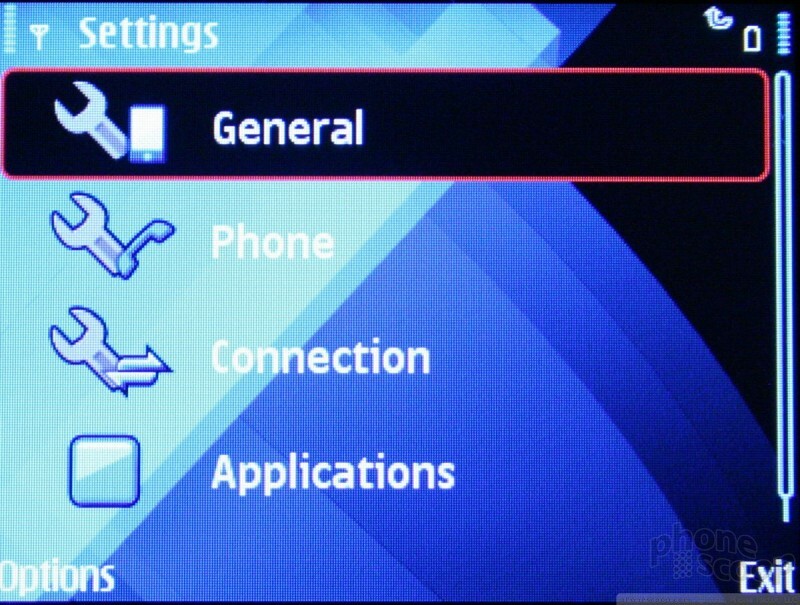 You can use the S60 menus to set up two different menu profiles for the E71. Nokia imagines a "work" profile and a "home" profile. These profiles allow you to have different applications saved in the dock. 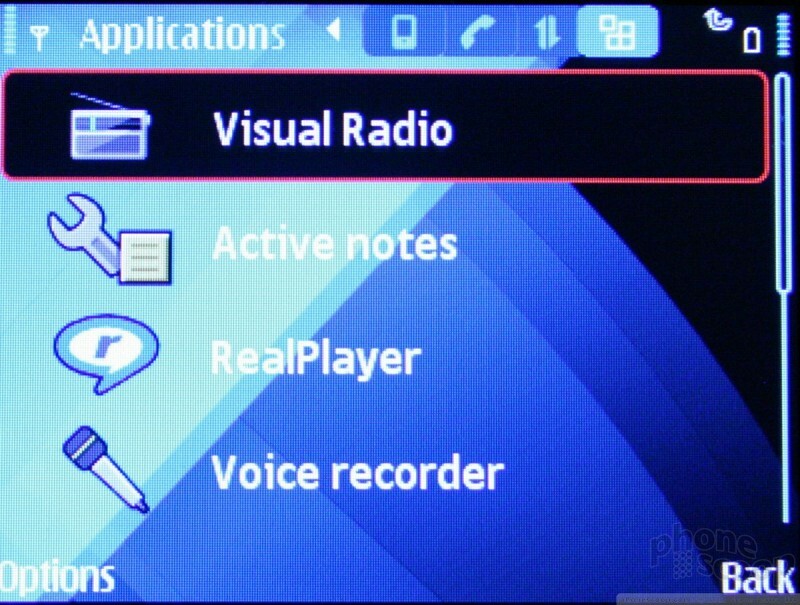 So, if you're constantly using the E71's VoIP features during the day, but want quick access to your music when at the gym, you can set the dock to have the appropriate set of applications available based on what you're doing. You can also set different themes for these profiles. This means you can have a buttoned down, professional theme during the day, and set your "home" profile to be wild and crazy once you head home at the end of the work day.